We love our LifeSource system! This is our 3rd system. Each time we have moved the new buyer has insisted we leave the system. Roxanne has been with us the entire time, excellent rep. Every time they test the water the system is doing exactly what LifeSource says it will do. Thank you LifeSource! We love the taste of the water and our how our skin and hair is softer. Wanted to let you know we love our new LifeSource whole-house water system. I can really feel the difference in the water. It tastes delicious! My hair is so soft and feels so clean. My skin feels soft and does not itch. My dishes look so much cleaner now and there is no more spotting on the glasses. This is a whole unit that is useful in every room in my house that uses water. I enjoy fresh drinking water, a refreshing shower and cleaner laundry. We are very happy with our lifesource. We love the water and the way it make our hair and skin feel. It tastes great, no more bottled water and no more salt in our system. Joe Hernandez is a great representative for LifeSource. He worked at my house twice recently and both times he was nice, helpful and knowledgeable. I'm glad we don't have to wrestle with salt bags now. Our quality of water has greatly improved. We like the water because it tastes good and it is healthy. We also wanted a maintenance free system. We made the right choice with lifesource. 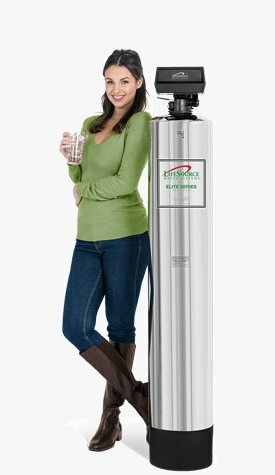 My husband and I absolutely love our Lifesource water system and how it has helped provide cleaner water to our family. We no longer have hard water and our skin feels the difference. Thank you. We installed my Lifesource system because we read many reviews, did the research, and felt that the benefits overall were worth it. During the past several weeks, I have been in contact with David McMurray, Factory Representative of your company, as I wanted to have our water checked to see how the system is working for us. David has been very attentive in the follow up, answering our phone calls and setting up a date to come to our home in Alta Loma (a 2-hour drive from his home). He came to our home last Saturday at 2:30 and went over the whole system answered our questions, physically checked the system and double checked our water in the kitchen. He was here with us for over 1½ hours. He asked how often we changed the system filters (4-6 months) and said that six months should actually do the job very well. He then showed us how to access the website to order filters, should we wish to order them online. We had a very pleasant experience with David and truly appreciate him taking his Saturday to assist us with our questions and we definitely wanted you to know of his effort. He is a genuinely nice person and were very impressed with his knowledge of your systems. I am writing to express my gratitude and thanks regarding our newly installed LifeSource Water. We had a LifeSource System in a rental home. We loved it so much we bought one for our new home. The water around here is notorious for being dirty and smelly. This was easily seen when we purchased our house: the toilets and showers were stained with sulfur marks. Since installing out LifeSource water system, not only does our water smell like clean water, but my toilets and showers are keeping clean. The chlorine flush that was recommended to us really cleaned out our pipes to ensure that we were only getting our nice clean filtered water and no residual build up from the pipes. We have been very happy with our investment. We are very happy with our life source water system. Our glass showerdoor is cleaner and the toilet no longer has a ring at the water line. I first got the system on the recommendation from my parents who also have a system. I no longer have to use a Brita water filter pitcher to get water and my husband is able to drink water from the faucet. Our icemaker is making clear ice that taste good when the ice melts!! Wanted to pass along that we are very happy and “Love our LifeSource” whole house water system that was recently installed. We now have clean, fresh drinking water throughout the house. No more chlorine or contaminant taste. Our icemaker is producing clear ice that does not change the flavor of our cold beverages when the ice melts!! We are so happy with our new Elite Series 1620 and the feel of the water; no slippery feeling or feeling like the soap and shampoo aren’t rinsing out properly. The water feels so much better and the problems we were having with dryness of skin and scalp are no longer an issue. 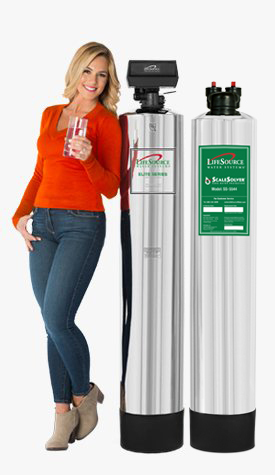 We would recommend the LifeSource water system to anyone looking to improve the quality of every aspect in their home (dishes, laundry, skin, drinking tap water, etc.). We couldn’t be happier with this investment in our home. Larry Romaldo was a pleasure to meet and was so helpful with his knowledge and professional customer service, which definitely made our decision that much easier. Larry is a true asset to the LifeSource family and represents very well! 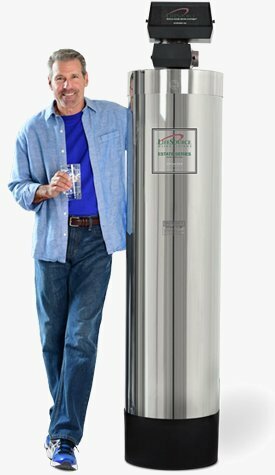 It was a pleasure to do business with you, Larry, and thank you again for making this such a smooth transition from our old salt tank to the quality LifeSource water system! Oxnard has horrible water and the very first water filtration system we had was actually a salt system which started becoming more of a problem for our health and finances as we got older. This is our second LifeSource system and it not only keeps up going but it has also had an impact on the health of our plants which now consistently bloom brighter flowers. At this rate I have now doubt that our system will outlive us. You guys were a tremendous help for us. Travis listened to our requirements and we had a system delivered yesterday. The delivery guy was friendly and had no problem delivering system through the house down the patio steps to the downstairs bathroom. He delivered in a downpour of rain. Our system will be installed when Mike our local plumber is available. A friend, jan Burdick had your system installed years ago. Her system has simplified her life. This system simplifies cleaning in the kitchen and bathrooms. The water is safe to drink and doesn't strip the water of minerals. Travis Hudson was quite helpful in providing us the many benefits. His knowledge helped in my decision to choose LifeSource Water. I installed my Lifesource system because I wanted clean, delicious, healthy water and so my skin stays soft. I installed my Lifesource system because I wanted to be healthy and I was also tired of buying filters for my fridge filtration system. Wanted to get away from our salt system! I installed my Lifesource system because we wanted to get away from our salt system and constant replacement of filters! Healthy water throughout my home! I installed my Lifesource system because I wanted to decrease the hardness of my water and to have healthy water throughout my home! 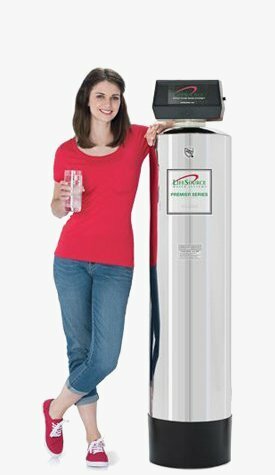 I installed my Lifesource system because I wanted pure water, I didn't want the inconvenience of hauling salt, and I wanted to stop buying bottled water. I installed my Lifesource system because I wanted clean and safe water to drink and bathe. I installed my Lifesource system because I wanted to improve the quality of the water and to eliminate water bottles. My entire experience with Life Source and been very smooth and pleasant. I would recommend you company to everyone. P.S. The water tastes great! the water in Huntington Beach tastes awful - Lifesource gives us great water and quality of life! Glad we don't have Chlorine! We learned that chlorine is a known carcinogen and we were spending way too much money on bottled water. Glad we got Lifesource to fix this!